If you are working with Raspberry Pi or any other Linux systems and you want to protect how you set up the board, you can use this method to remove the record of custom packages that you have installed. It will make it harder for people to reverse engineer your setup. They can still clone your SD card and use it on other RPi boards. For that, you can refer to How to prevent Raspberry Pi SD card cloning blog post. A simple script to prevent Raspberry Pi micro SD card cloning. It uses the CPU serial number as the unique ID for authentication. Use this script during boot up to check if the Raspberry Pi CPU serial number matches with the number hardcoded in the script. If the number does not match, then it will shut down Raspberry Pi. SKMEI 1418 / 1427 has five buttons that perform various functions depends on the mode or screen it is in. For example on the main screen, the dedicated barometer button is to switch the mode to barometer mode from the main screen. When in the setting mode, the same button performs as an up button or when in stopwatch mode, the same button is the start button. Keep reading to learn how to navigate through the watch modes from the main screen. SKMEI 1418 / 1427 barometer mode displays the current air pressure and current temperature measurement. It also stores a history of air pressure measurement for 24 hours with one measurement per hour. Keep reading to find out how to set it up, calibrate and use it. 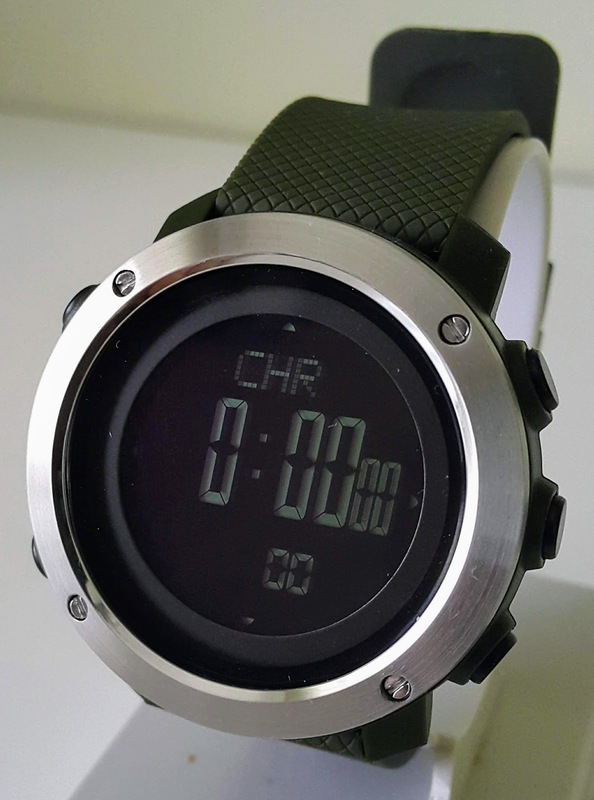 This SKMEI 1418 / 1427 stopwatch function is represented as CHR which I believe it is short for the chronograph. 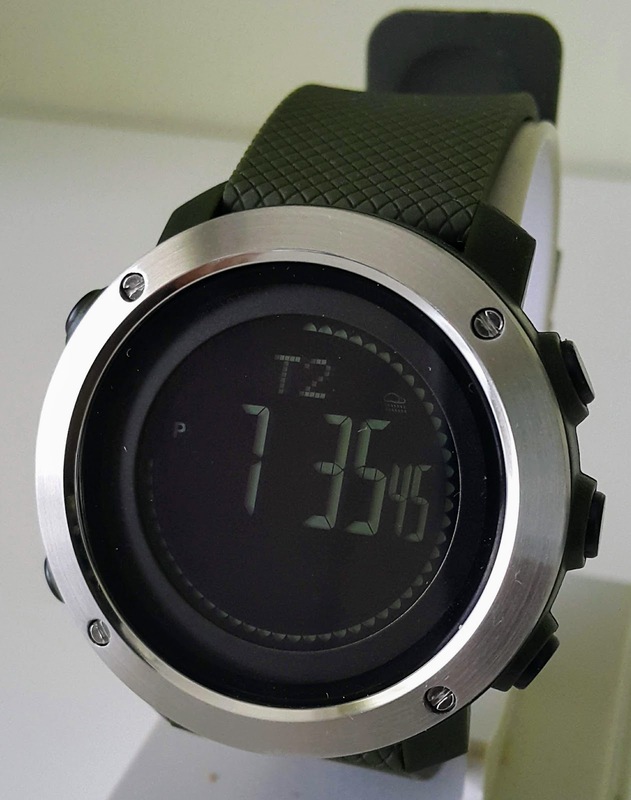 The operation is pretty straightforward and similar to other watches with the Start and Reset buttons are printed on the watch. This is a step pacing function. It creates beeping sounds for you to keep the rhythm of your run. The main display the total beeps and the bottom display the frequency of the beeps in beeps per minute (bpm). I remember that this function was in one of the Casio running watch before the year 2000. It helps to pace your steps to make sure that your running speed is not slower and meet your target completion time during training. But I never remember this was a popular function during that time. SKMEI 1418 / 1427 has two alarms that can be set up separately. In this mode, you can turn on and off the hourly chime mode. The SKMEI 1418 / 1427 timer can be set up to 24 hours of countdown. 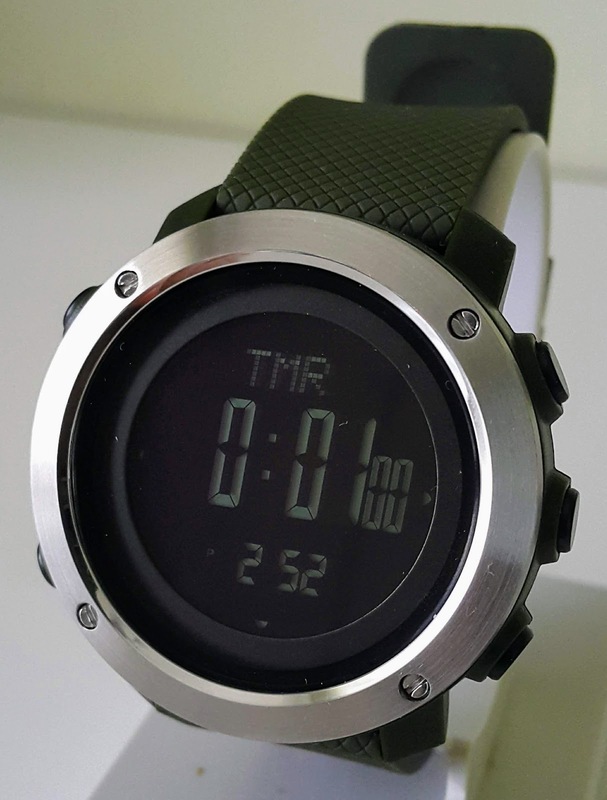 The countdown timer operation is similar to other watches and it should not be complicated to operate. SKMEI 1418 / 1427 does not have an extensive world time zones like my Casio SGW300HD-1AV or Casio AE-1200WHD. It only has one time zone that you can set whenever you reach another country with different time zone. I think it is enough for most people who will only travel to one country at a time unless you are a globetrotter that visits multiple countries in one go. 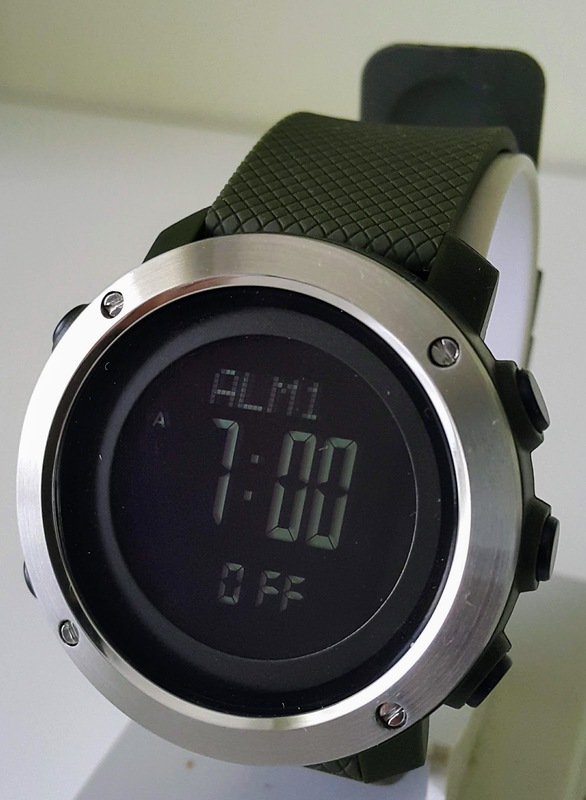 I was rather surprised that SKMEI is able to squeeze a step counter into this watch. 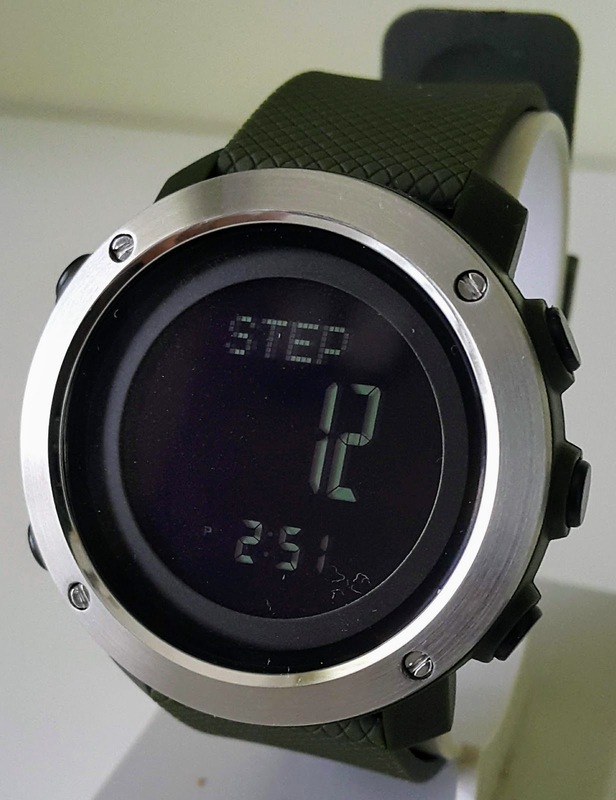 As this watch does not have a Bluetooth link to a smartphone for workout tracking, the step counter can only be used to track workout and store the workout data in the phone for seven days. Although it does not have the smartphone link to do a full workout analysis, but I found it enough to get an estimate of distance and calories I burned for my workout. At least I don't have to charge this watch every day. SKMEI 1418 / 1427 barometer mode displays the current altitude and current temperature measurement. It also stores a history of altitudes for 24 hours with one measurement per hour. Keep reading to find out how to set it up, calibrate and use it. SKMEI 1418 / 1427 compass mode display the direction of the watch is facing in form of N, S, E, W and also in form of bearing degrees relative to North. Keep reading to find out how you can setup the digital compass and calibrate it. I bought this watch four months ago and I have been wearing it every week during my weekend hiking. 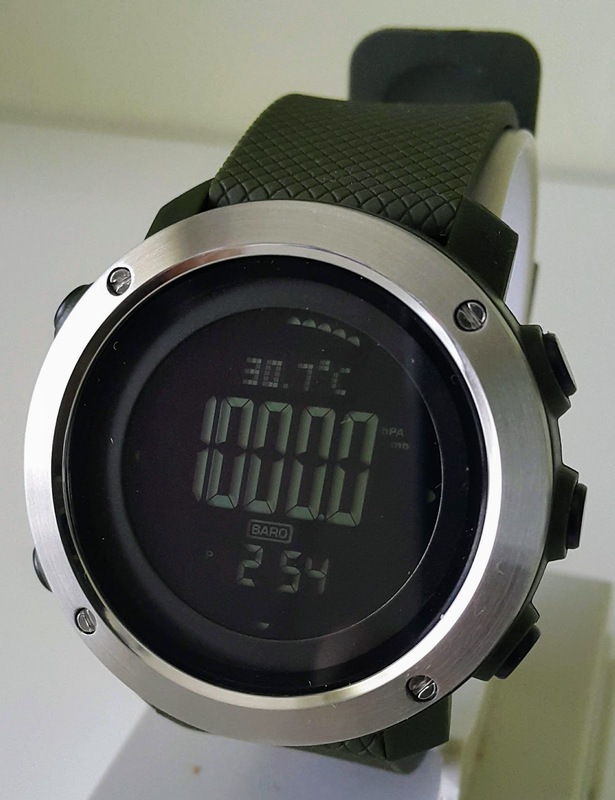 Overall this watch is impressive considering the number of features per the price that I have paid for it. 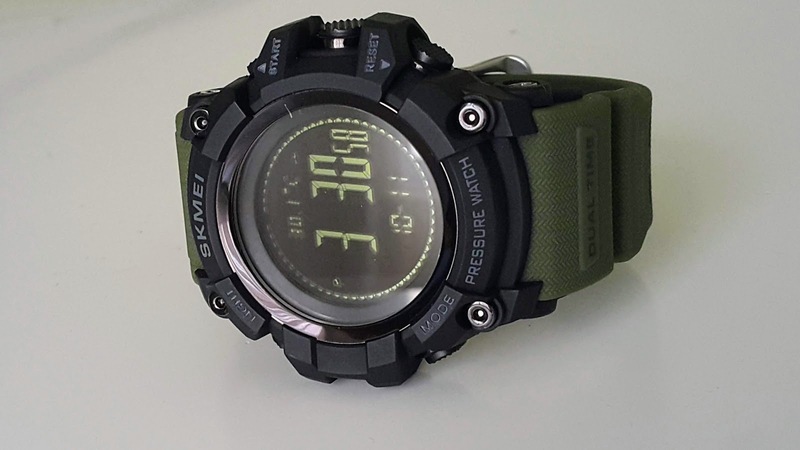 All the features worked flawlessly considering that this is a relatively cheap watch comparing it to Casio ProTrek range of watch. 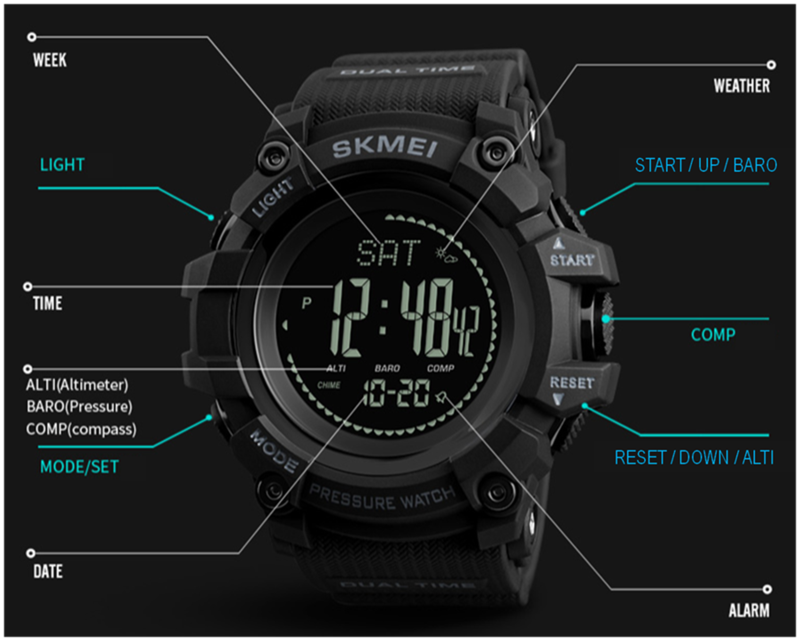 SKMEI 1358 is basically an equivalent of Casio's triple sensors watches. You might know them as Pro Trek or Pathfinder in North America. It has a barometer, a thermometer, and a digital compass. 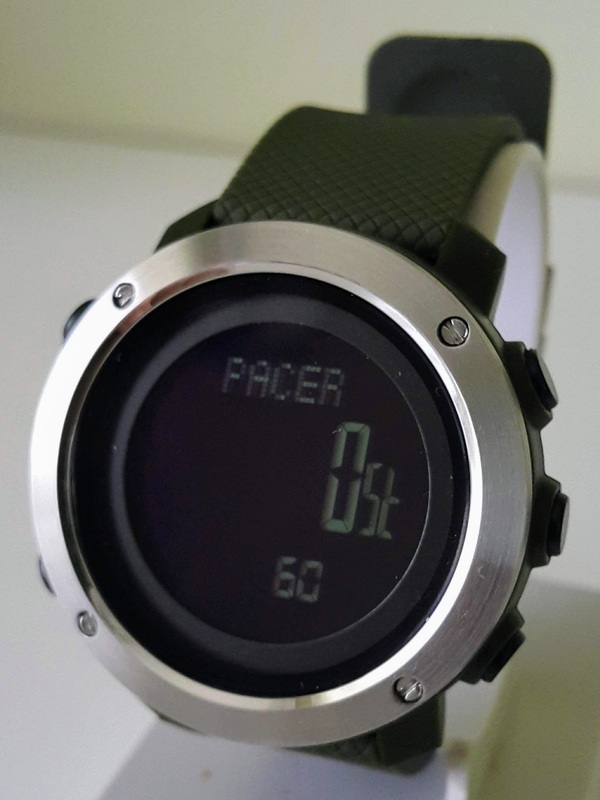 It also has an extra sensor that the Pro Trek watches might not have as far as I know of. It has a pedometer. Yes, it counts steps and estimates the calories burnt and distance traveled. 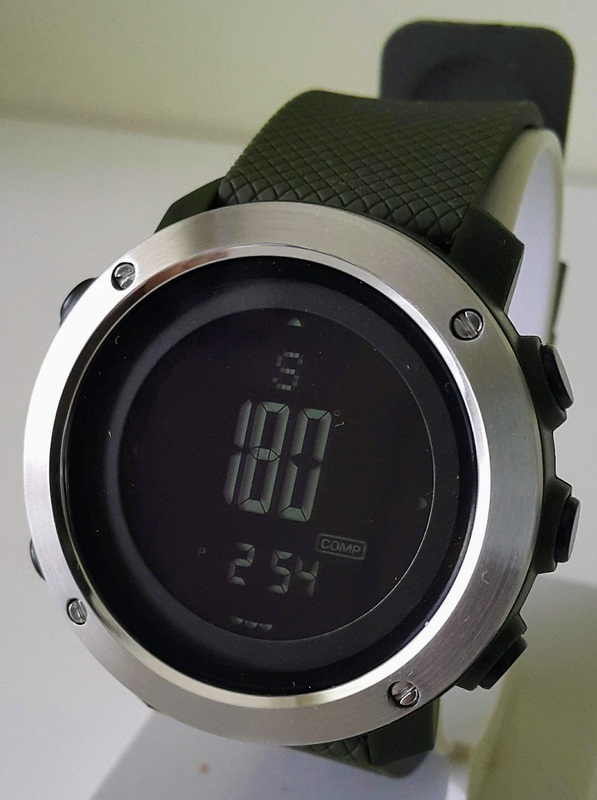 With the combination of these sensors, this is an ideal outdoor watch you can have for a fraction of a Casio Pro Trek price.